Citywest Hotel is a 4* hotel situated in Saggart, Co. Dublin with great views of the surrounding countryside. Located in superb South Dublin puts you in easy reach of everything from Dublin city centre and airport, each of which is a mere 25 minutes away, to the hills of Wicklow and the plains of Kildare. Afternoon tea is an old world ritual that deserves to be rediscovered. Take time to relax and enjoy a sumptuous selection of classic cakes, sandwiches and treats complemented by a choice of teas, coffees and infusions. 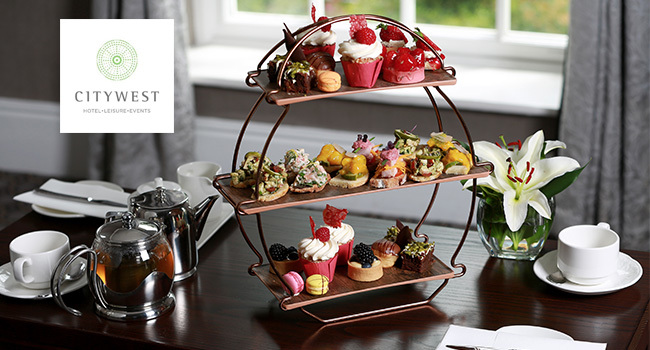 TheTaste and Citywest Hotel are offering readers a Summer Afternoon Tea for Two People only €40.